The launch of the next Xbox dashboard update will come with a slight change to the proportions of the Avatars. These changes were made to allow better mapping between players with using Kinect to control their avatars. Existing avatar clothing and other assets have been updated to work properly with these new proportions. 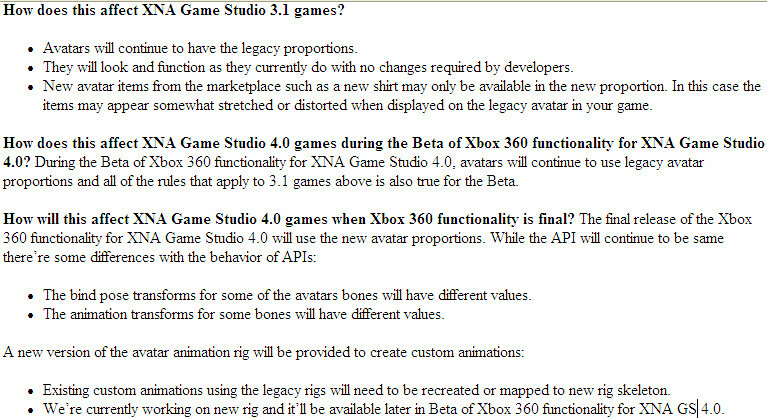 For games that include support for Avatars, read the following thread in our Forums to understand how these changes affect games made with XNA Game Studio 3.1 and 4.0, and the changes that you can expect when XNA Game Studio Connect for 4.0 goes final.